Whose viewability solution is best? They are all equally good (bad!). Just pick one and use it to point you in the right direction. 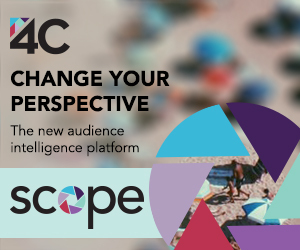 The more interesting question is, “Now that you have chosen Viewability Vendor X, what are you going to do with their data?” Herein lies the big opportunity, and video advertising can learn something from Big Oil. Yes, the oil industry. Like it or not, oil fracking has created a financial boondoggle by leveraging new technology to create value where there was none before - it’s modern alchemy – and there’s gold in them digital hills too. Look at how things are done today in digital advertising: Optimizing across sites is still largely a manual process, as though we were operating in the digital dark ages. Time and again, media buyers use simple whitelists or blacklists to either include or exclude select domains on their buying lists. This approach has huge limitations, not least of which is that it’s time-consuming. Most publishers offer a wide spectrum of video advertising experiences, from large player, above-the-fold premium experiences to less desirable placements. For example, we’ve seen CNN measure at greater than 90% viewability for some placements, and less than 5% for others. So, what choices do you have? If you whitelist CNN, you run the risk of getting the bad along with the good; blacklist the publisher and you eliminate strong potential placements. Typical media buyers still take this manual approach because it is safe and scalable….for humans, that is. This is where fracking comes in. For those not familiar, “fracking” is shorthand for hydraulic fracturing and refers to the process of drilling down into the earth and using a high-pressure water mixture directed at the rock to release the gas inside. Water, sand and chemicals are injected into the rock at high pressure which allows the gas to flow out. By applying technology to select inputs, we create economic value out of what was previously considered to be useless rock material (putting aside the detrimental environmental impacts for a moment). What does this have to do with video ad optimization? Think about the inputs and outputs in the equation. Prior to fracking, the decision to drill for oil was more binary: Either a piece of land had oil that could easily be tapped (i.e. whitelisted and worth paying for) or it didn’t (blacklisted and ignored). Fracking changed the equation and allowed companies to efficiently cherry-pick and extract value from a pile of rubble. In video-land, instead of drills as technology, we use ad servers, bandwidth, code; instead of water, sand and chemicals as systems inputs, we use viewability data, player size data, device attributes; instead of earth as the inventory, we use websites and apps. The output is high viewability performance at scale instead of crude oil en masse. Let’s call it Digital Video Fracking. 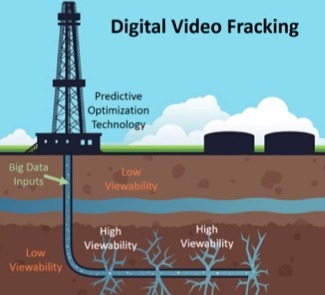 The digital video fracking concept can be approached from multiple angles which may yield wildly different results. When it comes to optimization, every company has its own special sauce. As a general rule, analyzing data at a more granular level can squeeze out more value over time, as long as this can be done efficiently and cost-effectively. At some point, the law of diminishing returns takes effect and no more value can be extracted. The viewability mess will eventually sort itself out. One could argue that viewability shouldn’t be an advertiser issue, it should be a given – video ads should only be invoked if the player is viewable, and the player should be doing the viewability control, not the advertisers, ad servers and measurement vendors. Nevertheless, with viewability as a major issue for multiple reasons (including technical limitations with iframes, latency, etc. ), it is a problem we must be solve. Knowing that, we innovators in the digital video ad industry are primed to squeeze out every last drop of value wherever it can be found, and we are using technology and data to make that happen. It’s an exciting time to be in the video fracking business!